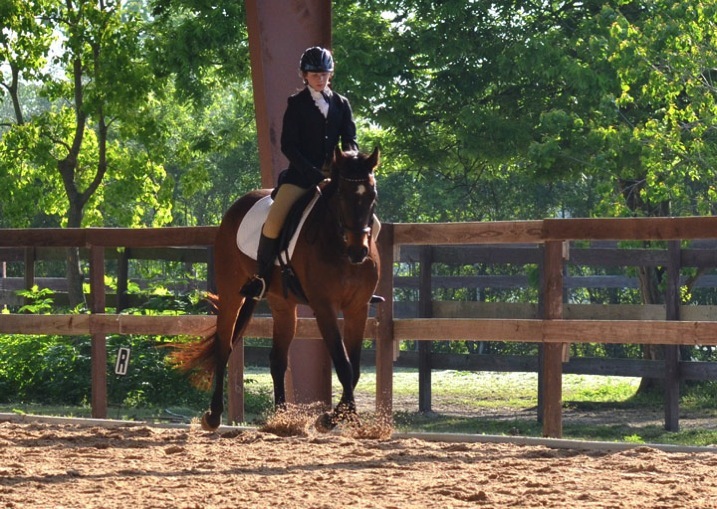 The sport of horse riding and showing can be very rewarding and beneficial to a young child. 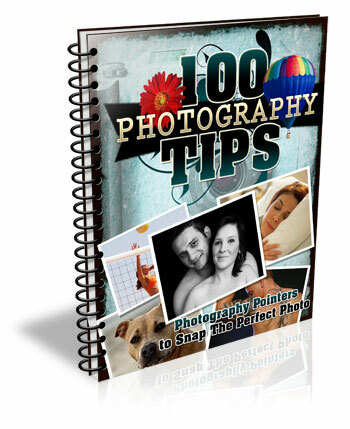 However, capturing those memories to print and share with family and friends can be a challenge for parents. 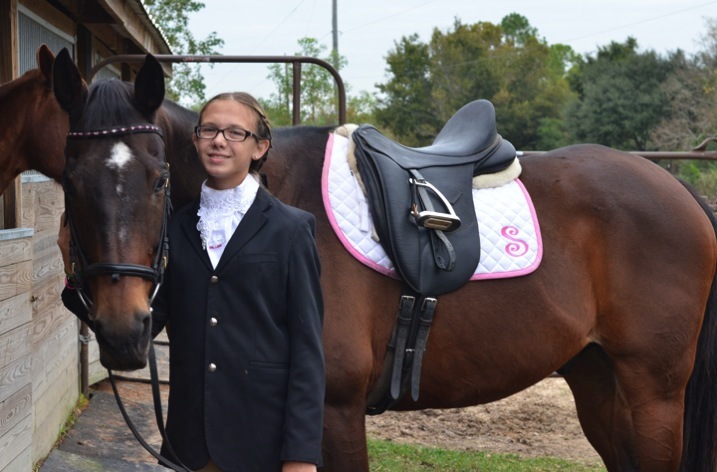 Basic horse knowledge is helpful not only in keeping your child and their horse safe, but others around them as well. The following are a few dos and don’ts to get you started successfully, and safely, photographing your child at horse shows. Camera flashes from the audience during rodeos and exhibitions are common, and for the most part those horses are accustomed to many distractions. However that may not be true for the horse your child is riding. 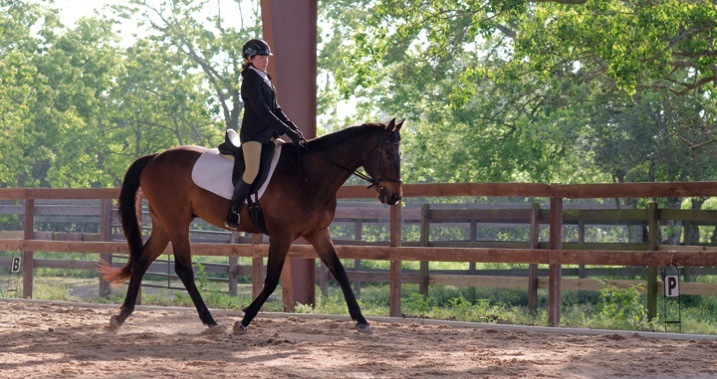 An experienced horse with an inexperienced or nervous rider, at an off-property show (and sometimes the excitement of a show at their home barn) may react differently from their usual calm, sensible self. A covered arena can be challenging in terms of lighting and on-camera flashes won’t effectively reach the far end. If they are riding in the morning or late afternoon one side of the arena should be sunny. Wait until the horse and rider are in the sunlit area before capturing the moment. Obviously, this will cut down on the number of images taken, but they should be sharper and brighter, and worth the wait. Do not hide behind a fence post, arena support, fence, etc. Wide arena supports can be tempting to steady yourself, but this is essentially playing peek-a-boo with a half-ton animal (that has a mentality of a young child) which your son/daughter is sitting on. Horses notice change and if an object or person has moved they may look for it; taking their attention away from the rider. 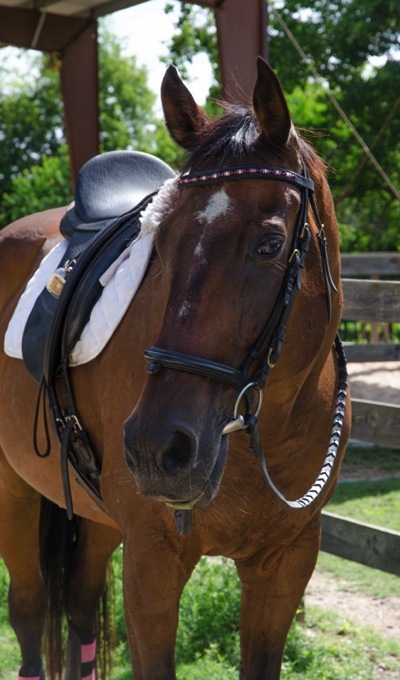 In addition to being noted as a comment or error on the rider’s test, this could also create a dangerous situation if your child’s horse is a bit on the nervous side. Stand or sit out in the open – let them see you, and stay there until the test is complete. Standing on a lower step of a mounting block, outside the arena, will get your camera higher than the fence. But, position yourself during the time riders are entering and exiting the arena, and remain there for the duration of the ride. Do not use a tripod or monopod. Depending upon the type and location of the event there may be several horses, riders and their trainers, waiting to enter or exit the arena, return to stalls, etc. Extended tripod legs can be a tripping hazard for people, and a scary thing for horses. Fence railings, tables and tucking your arms into your body are good solution to stabilize your camera. Besides, most tests are over in a few minutes, so foregoing that extra gear will allow you to quickly rejoin your child. Larger shows often hire official show photographers who will take pictures inside the main arena (from a vantage point different from spectators) that you can purchase later. Additionally, if you are using a tripod or monopod you may be viewed as a professional (whether that is the case or not) by show officials who may ask that you refrain from taking any pictures if they feel you are in competition with the official photographer. DO buy, rent, or borrow the fastest prime lens you can – 50mm or 85mm preferred (keeps the horse’s head in proportion). A longer lens (85mm) also keeps your camera out of everyone’s personal space and avoids any possible flight response in the horse. There are many bomb-proof horses for young riders who will absolutely not react to anything (near or far), but you don’t want to test that out – especially with your child holding the reins or sitting on top of all that power. A fixed focal length lens also means you won’t be able to adequately shoot across a large arena. 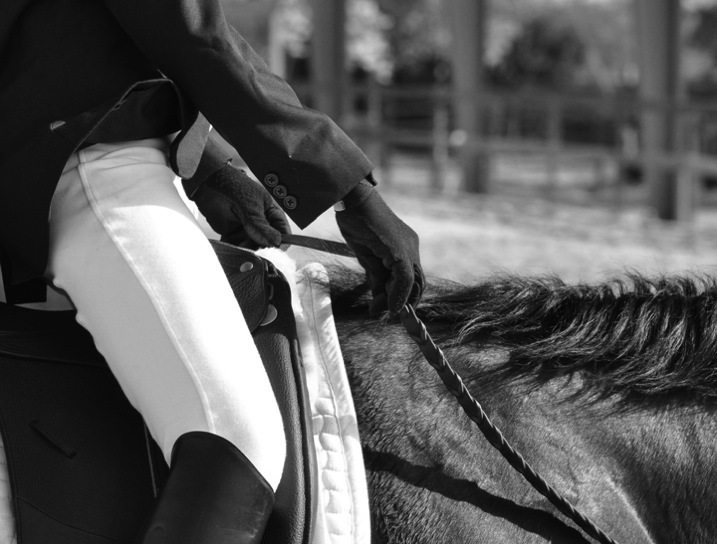 Riding tests often have the horse and rider cover the entire arena, so capture your child when they are closer to you; details such as the rider’s hands, legs, and boots produce great images too. DO learn the tests your child is riding. Tests in both English and Western disciplines require specific movements, to be performed at certain places in the arena. Being familiar with the tests will allow you to anticipate the next movement and be ready to shoot, especially when using a fixed focal length lens. Some movements are photographically more appealing than others, but simply ensuring that all four legs of the horse are visible, arena supports are not coming out of the rider’s head, and the focus is centered on the rider’s or the horse’s eyes, will improve your images. 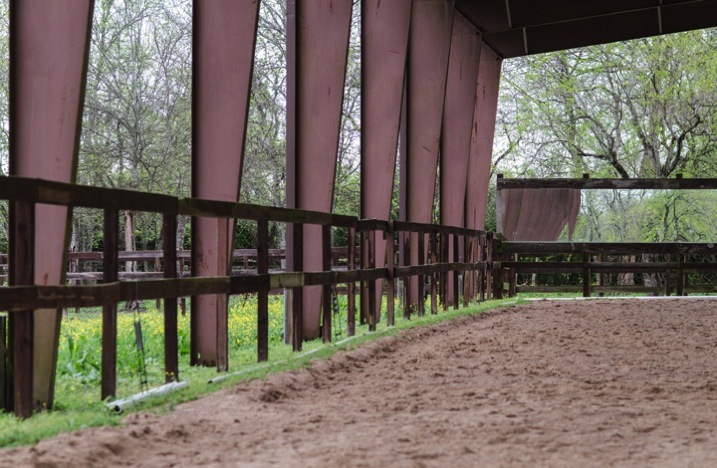 Test movement patterns can usually be found on the internet (In the states, the United States Equestrian Federation website is a good starting place for all disciplines). 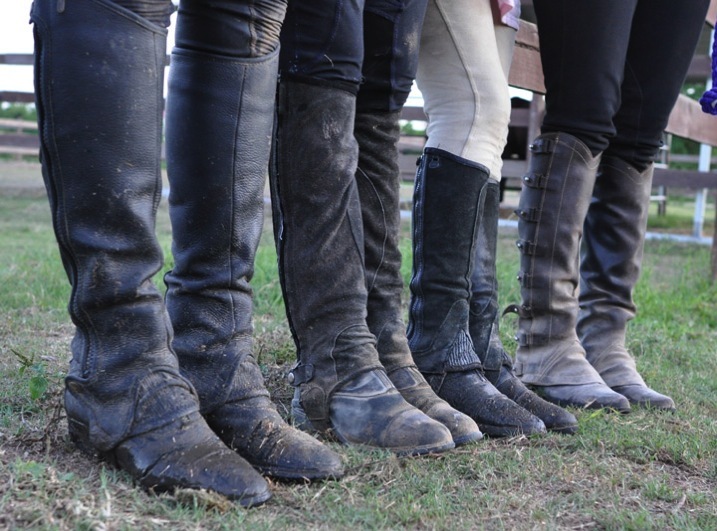 Do shoot the details outside of the show ring; the relationship between horse and rider, grooming/tacking up, show clothes, friends, bridle, stalls, etc., – all those moments leading up to and after riding the actual test. Photographing activities of the entire day completes the horse show story, which the show’s official photographers do not usually cover. Using a 50mm or 85mm lens captures the action without being too close (not adding to a rider’s show nerves) and produces casual, natural photographs. Older, more experienced riders, often assist the younger riders with tacking up and grooming for shows (among their many other duties that day) held at their home barn. An experienced rider can be a valuable asset on show day and may already have an established relationship with your child. Horse show photography can be exhausting, dirty, and a continuous learning opportunity, but can also be an amazing experience. Dress comfortably, avoiding open toed shoes, and approach the day as an adventure that you and your child will remember forever. The post 6 Tips on How to do Horse Show Photography for Parents by Sherry Bowman appeared first on Digital Photography School.